2018 GreenArrowTV Awards: Pick The Worst Episode Of Arrow Season 6! Fans are invited to pick the worst episode of Arrow Season 6. We’re back with the second category in this year’s GreenArrowTV Awards – honoring the best and not-so-best of the recent Arrow season. We’ve been doing this since Season 1, and now it’s time to play favorites for Season 6! As always, fans of any show have opinions. This is the chance for those fans to recognize the things they did (or didn’t) like this past year. Housekeeping notes including the “one vote per IP” limit and more can be found here. Do remember if you want your favorites to win, you need to vote and tell your friends to as well, as the fans who mobilize are often the ones who “win.” Come back in a few days for another category, and we will be posting reminders on our @GreenArrowTV Twitter account when voting can be done again in new categories. You can see last year’s results here. – Pre-order Arrow: The Complete Sixth Season on Blu-ray! 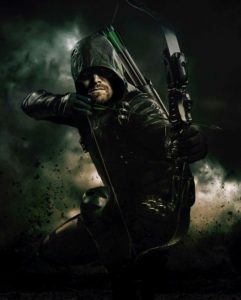 What is your choice for the Worst Episode of Arrow Season 6?